Hanoi (VNA) - Traffic culture among Vietnamese youths is the theme of a national film festival on traffic safety launched on August 9 by the National Traffic Safety Committee, the Department of Traffic Police and Toyota Motors Vietnam in Hanoi. Senior Lieutenant Colonel Nguyen Quang Nhat, from the Department of Traffic Police, said the festival focuses on the role of youths in ensuring traffic safety, traffic law compliance among youths and the education on traffic culture in families and schools. According to Major General Tran Son Ha, director of the department, the film festival was first held in 1996. After nine editions, the festival has attracted the participation from organisations and individuals nationwide. “It is considered as one of the effective channels to popularise the laws among the citizens and encourage them to obey traffic safety laws. By means of the images and sounds which are illustrated in various forms like documentaries or musicals, the TV programmes about traffic have left thorough impacts on the viewers as well as effects in limiting violations, preventing traffic accidents and significantly contributed to ensuring traffic safety and order,” he said. 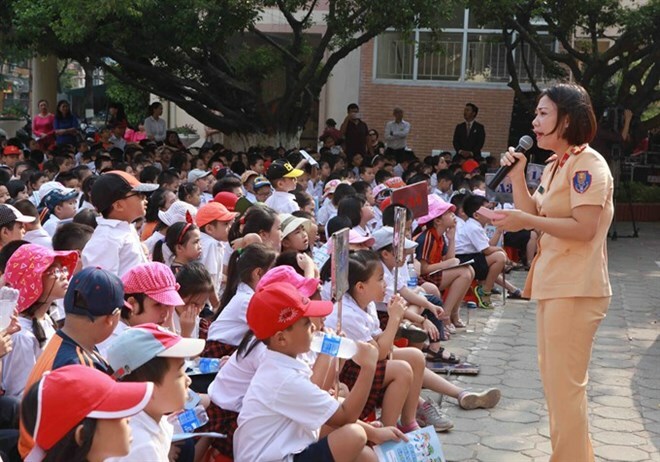 Speaking about this year’s theme, the director added that forming traffic culture among Vietnamese youth demonstrates the strategic vision of a developing society. “Each youth not only has to directly improve their own traffic culture but also become an active communicator of traffic safety in their families, at their schools and in social organisations,” he said. The festival is expected to arouse artistic thinking and creativity among youths, and also be an opportunity for them to enrich their knowledge about traffic, thereby improving the awareness of following traffic laws. The entries of the festival are divided into three categories: documentary, short clip and educational programme. The eligible applicants are all Vietnamese citizens and organisations within Vietnam.